Australia’s rapidly deteriorating strategic circumstances have caused me to review my earlier stance on the navy’s future submarine requirements  and the case for nuclear propulsion . If we decide that Australia should be able independently to resist a direct attack from a major Asian power like China, then we need to start building the forces to do that right now, not wait for some further warning sign. The time has come for early consideration of all aspects of a transition to nuclear propulsion  for Australia’s submarines based on compelling strategic and submarine capability arguments. While acknowledging the strategic and operational advantages that a nuclear-powered submarine force would provide, it must be recognised that there would be some formidable challenges to overcome to add such a force to the RAN. Quite apart from the political sensitivity of such a decision, it would be a protracted process requiring a lead time of 15 to 20 years, driven largely by the technical, training and educational preparations and a very significant increase in qualified personnel required to operate and maintain the force. The current program to acquire 12 conventional future submarines (FSMs) is an essential starting point for a successful transition which will take significant time and a national focus to achieve. 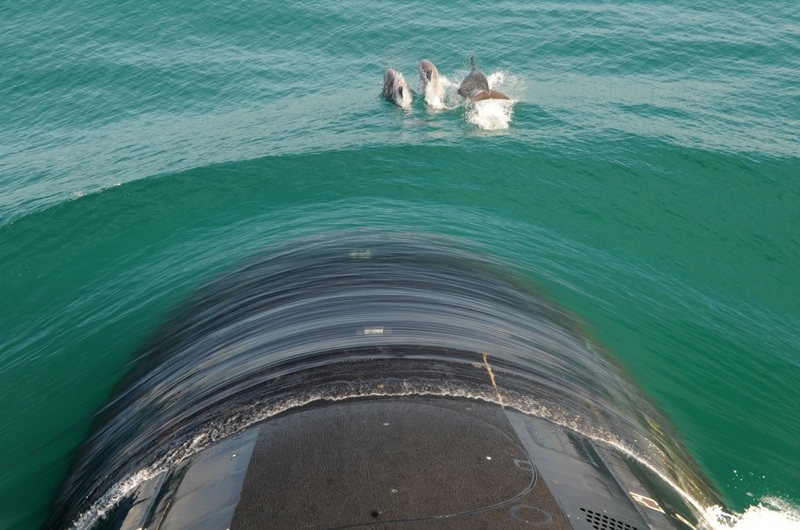 The RAN must first achieve the critical mass of submarine personnel and be able to sustain the manpower required for this challenging transition. Attempting a transition before the Australian submarine arm has achieved sufficient size in platforms and personnel risks a capability gap even if there are no delays during the transition. In the face of a deteriorating strategic outlook, the consequent need to transition to nuclear submarines (SSNs) expeditiously and the reality that growth of the submarine arm via FSM is essential to starting that transition, that program must be accelerated, with a national priority allocated for funds, personnel and a fast track for facilities. A force of modern SSNs offers significant sea denial and force projection capabilities, providing at least twice the number of more capable submarines deployed at long range compared with an equivalent number of conventional submarines, assuring the ability to sustain a high level of deterrence and operational capability. A fleet of 12 double-crewed SSNs would allow four submarines to be on task at long range and constitute a formidable deterrent force. Such a fleet would also facilitate a rolling construction program. A force of at least 10 nuclear submarines with 10 crews is the minimum required to maintain a critical mass of trained personnel and to generate the experience needed to man the senior supervisory and policy staff needed for a globally credible nuclear safety organisation. A force of at least 12 conventional future submarines, each with a crew of at least 60 and a total submarine arm of at least 2,100, is judged to be a conservative, safe and viable starting point for a transition to a force of 10 SSNs. The options for Australia to develop an SSN capability would be limited to building the boats offshore or to consolidating the vessels in Australia incorporating a reactor purchased offshore. Leasing SSNs is not a practical option. A supporting nuclear power industry is desirable as it would provide Australia with a broader regulatory, technical and educational base. However, provided the costs of not having that support are clearly identified, the absence of an Australian nuclear power industry should not preclude a transition to nuclear propulsion for Australia’s submarines. The initiation of a training program to prepare the policymakers and senior technical management personnel will be necessary six to eight years prior to ordering the first SSN. Over 250 experienced RAN submariners (approximately 12% of the submarine arm operating 12 FSMs) would enter nuclear education and training pipelines approximately eight years prior to the commissioning of the first SSN. Given the lead time, unfolding strategic situation and benefits of nuclear propulsion, an immediate decision is recommended to commit to a feasibility study into a transition to nuclear propulsion to be delivered by 2020. It’s time we understood the benefits, costs, risk and timescales of this option fully. And finally, a reminder for cabinet’s national security committee. We need to accelerate the FSM project, with national priority for resources without reducing the sovereignty of our new subs . It would also be a good idea to stock up on the high-tech/costly/long-lead-time weapons to go in those torpedo tubes. Will someone heed the warning bells ? Peter Briggs is a retired submarine specialist and a past president of the Submarine Institute of Australia. Edited image courtesy of the US Department of Defense.